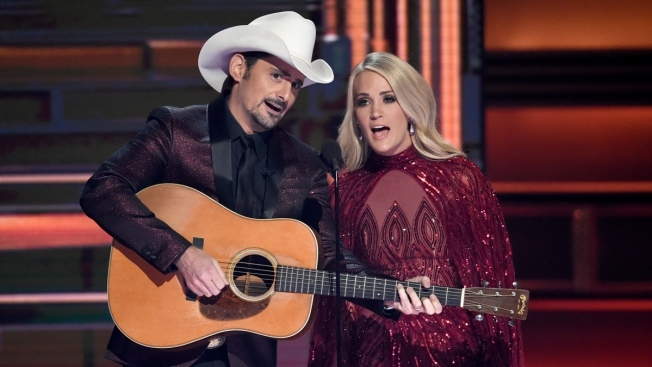 Hosts Brad Paisley, left, and Carrie Underwood appear during the opening of the 51st annual CMA Awards at the Bridgestone Arena on Wednesday, Nov. 8, 2017, in Nashville, Tennessee. 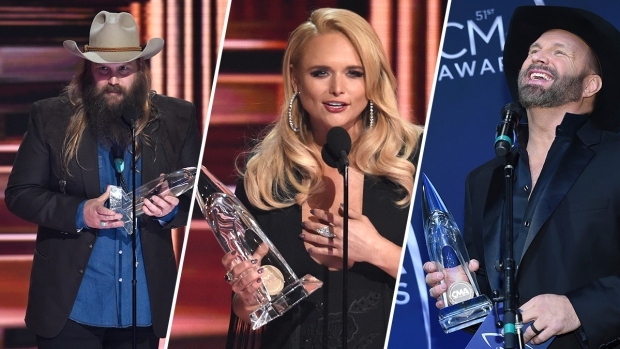 Carrie Underwood and Brad Paisley did more than poke fun at the Country Music Association's ill-received media guidelines that aimed to keep politics out of Wednesday's CMA Awards. The veteran hosts dug straight in with barbs aimed at key political figures from both parties, including President Donald Trump. Underwood said producers required this year's show to be a "politics-free zone." "Clearly we can't say or play anything," she said. Paisley, strapped with his guitar, playfully asked if that meant he'd be barred from performing such songs as "Hold Me Closer, Bernie Sanders" and "Stand By Your Manafort." Underwood and Paisley then proceeded with a parody of her 2005 hit "Before He Cheats," reconfigured to address the commander in chief. They sang about a gold-plated White House toilet seat, leading into a chorus of "Maybe next time he'll think before he tweets." Paisley continued the gag later in the show, mentioning a song called "I'm So Indicted" and a medley of tunes by "Huey Lewis and the Fake News."